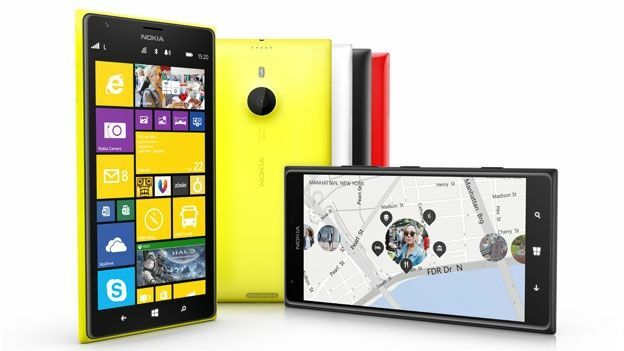 The Nokia Lumia 1520 is official. Nokia drew back the curtain on its latest Windows Phone 8 flagship at Nokia World in Abu Dhabi this morning. The handset has leaked numerous times. It's Nokia's first 6-inch device and could well be Nokia's thinnest device at an impressive 8.7mm thin. It'll be accompanied by a budget version as well, called the Lumia 1320. The difference between them? The 1320 has a 720p screen, instead of the 1520's 1080p. It also has a 5-megapixel camera instead of the 1520's 20-megapixel one, and it has a dual-core processor to the 1520's quad-core. The 1320 is aimed at a "younger crowd" according to Nokia CEO Stephen Elop. But back to the 1520. Nokia has added a few software tricks. Its 20-megapixel camera is supercharged with Nokia's new Camera App. Zoom in to take a photo, then when you come to review it, you can zoom back out, and even shift the focus point using ReFocus. Zoom out all the way, and you can see where your photo was taken on Nokia's Here Maps. Storyteller mode lets you get more creative with your shots. Nokia Beamer is another new feature. It lets you share what's on your phone screen through SMS, or social media. The 6-inch screen also fits three columns of Live Tiles for the first time. This lets you cram on more tiles, and use bigger ones, for more at-a-glance info. You'll soon be able to share your snaps through Instagram, as Elop announced the photo filtering app is finally coming to Windows Phone 8 "in the coming weeks". The Lumia 1520 will cost $749 when it goes on sale later this year. The Lumia 1320 will be out early next year, and will cost $339.